I would only re-emphasize the need for good form especially on squats. Proper warm up for lower body and especially hips plus good form is very important. 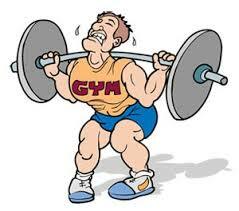 Guys wanna go heavy but remember to keep your form thru out the entire lift. Don’t risk injury. A year after meniscus tear surgery and still experiencing pain, my ortho told be to get strong if I wanted to keep trail running. Strength and core 3x per week. I did what he suggested and consider the year plus strength and core workouts the key to my 2-3x per week running without pain. Some of the things I learned. Can’t beat the big three. Barbell squat, barbell deadlift and barbell benchpress. Plus chin ups, military presses and adductor/abductor work. Adding single leg routines also helps with balance and weakness. One of my favorite leg work outs are deadlifts followed by bulgarian squats. As an older runner (58) I have to be aware of rest days and cross training. Easy to overtrain and become overtired with 3 runs and 3 strength/core work outs per week. Great suggestions and I couldn’t agree more. Technique/form is critical to avoiding injury. Even if you have to go lighter on the weight and can’t increase weight as quickly.